Work has begun on the first Wormgod exhibition. This, our first exhibition, will be a sequential artwork about about consequences. Two images will tell a story, perhaps many stories, about a crucial event in human history. Something that has affected our generation and our view on life in a very basic way. An event that brought death into the equation in a very profound way, on a scale that is bigger than even specieswide extincion. konSEKVENS will also be an experiment in linear/non-linear thinking. The images and their stories can be read like comic strips, but it is up to their viewers to read the connection between image elements and arrive at something that is not chronological. Something that is spread out through time: a multitude of events and their consequences. Big comics day for me tomorrow. Not only am I going to send Piracy is Liberation 006: Violence to the printer, I am also going to do my third 24-hour comic. Last time, it resulted in a graphic novella called Trollet, later published by Komika Förlag. I have no idea what will come out this time, since I’ll try not even to think about it until the 24 hours start. I may sit down to put some updates up on the blog during the day, as work progresses. Right now, however. It is time to go to sleep. 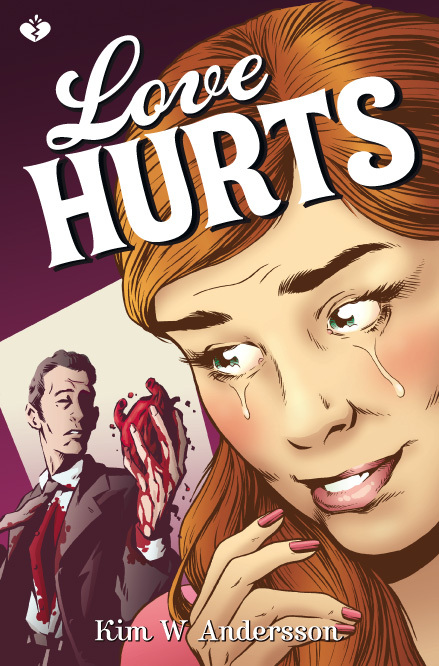 I made a piece of fan art for Kim W Andersson‘s upcoming book, Love Hurts. Go check it out! I really look forward to this book. Kim is part of a new wave(?) of swedish artists who put a lot of effort into the art aspect of creating comics. I likes it!